Unlock your highest potential to achieve your dreams. 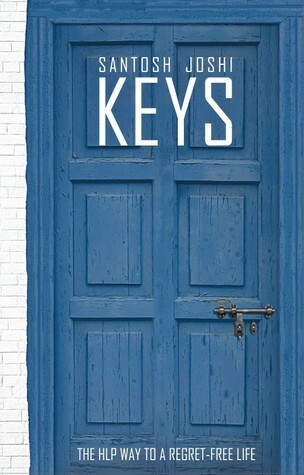 With KEYS you can open the door and take the first step into a new life. One without regrets of the past or fear of the future. You will realize that no matter what experiences you had in the past or what your present circumstances are, you still have immense potential to achieve your life goals. It is never too late to begin. This book introduces the HLP principle which will launch you towards them. It will help you heal and resolve your past memories which are pulling you back most of the time. It will encourage you to find your true calling and work towards it. It will also motivate you to plan your journey towards the ultimate destination, your dreams. KEYS is for all those who have lost their true self in today’s rat race, those who have faced failures or gone through traumas, those in search of their purpose and those looking for inspiration to excel in life. This book is an opportunity to become the change you wish to see in yourself. Santosh Joshi is a Life Coach, Past Life Regression Therapist and author based in Mumbai, India. He is a Mechanical Engineer by education, and was working with Indian and multi-national conglomerates for over 17 years. His experience in the corporate world gave him insight into human behavioral patterns and responses to various emotional challenges. This helped him realize his inner calling. Santosh has dedicated his life to help people bring about changes in life. Santosh Joshi’s Keys is all about HLP way to a regret free life. We all face problems and challenges. Today, we are what we are because of our past experiences and future expectations/fears. We tend to get stuck between the past and the future, thereby, neglecting the present. They say, present is the present (gift) from God. If you don’t believe in God, then let me make it as the Super-power or Universe. Therefore, it becomes imperative to cherish each moment. A regret-free life... a life free from expectations and insecurities... is what we all pine for. But in the process, we feel more frustrated. Moving on in life by making peace with the past is a difficult task. It is easier said than done, I know; but nevertheless impossible. By looking back at past and reliving it, we can let go of it. That is the first step towards happiness. Similarly, by living the present to the fullest, worries relating to future can be eliminated! The book asks us to dream... make friends... be happy and enjoy life. It asks us to think positively and be in constant touch with inner-self... It requests us to retain the childishness. To begin with, the book’s cover is so attractive. 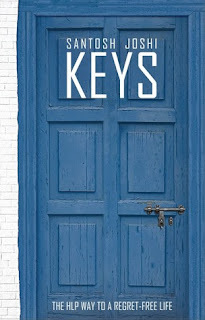 That blue door symbolically asks us to open the door to our inner self with the keys – the book per se. I liked the concept and the blue cover is so soothing to eyes. Next, I adored the idea of cartoons assimilating what each chapter has in store for us. Thus it effortlessly sets the mood for the topic that follows. All the stories and experiences that the author has chosen is very simple. Hence, we tend to relate to most of it. That’s when the book starts to win our hearts. I felt like same concept is explained many number of times... in the form of story... concept... and then as “at a glance”. This may be done with the good intention of letting the reader to understand the concept. But I felt like it is over explained. Other than this, I feel than this book is awesome!!! ü This book never bores you. I just love the way you divide your reviews into several sub-headings ... love the way you write !! !